There’s a rumbling across the home building industry. It may be just a low murmur in your market, or maybe it’s a loud roar, but something is happening. A lot of conversations I have with builders start with, “What’s it like with the rest of your builders? We’re slowing down a little here.” And the question is asked in a concerned tone. Builders are noticing that business is slower than usual and are wondering what’s going on. I recently heard a C-level executive say “business conditions are softening.” That’s the politically correct way of saying something is going on. But what? Well, a seasonal adjustment is a pretty common occurrence in the final stretch of the year. My go-to answer is usually to take a breath and relax. What’s happening is normal. The market is just exhaling … and so should you. How deep the breath or how long the exhale, I won’t pretend to know, but I want to share with you what’s normal, from our perspective. Many executives use their company’s online sales and marketing program as the canary in the coal mine. 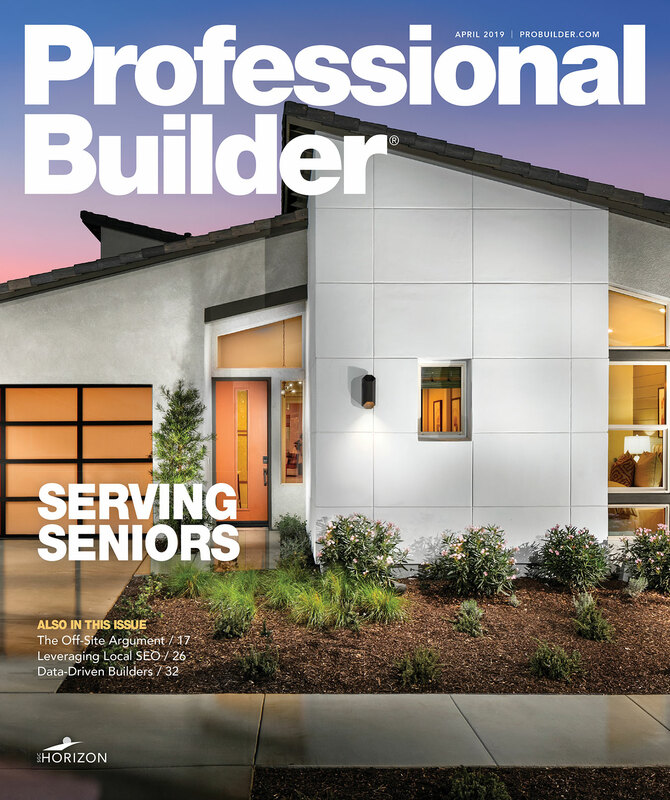 Sales and marketing professionals are on the front end of search volume, website traffic, leads, and appointments, which are some of the primary indicators of consumer interest, so builders naturally turn to this program for some type of forecast. It’s one thing to anecdotally say that each year things start to slow down around certain months, but looking at actual search trends over time, we find that the numbers tell the same story. Take a look at five years of search history for the term “new homes” in Google Trends (chart below). Any guesses as to when you’ll see that little blue line start trending down? That’s right: mid-June. And when does it get all excited and start to spike back up? Correct, like clockwork, after the New Year people get the itch and start looking for homes again. Five-years of search history for the term "new homes" in Google Trends. Crazy, right? Well, it’s not really so crazy if it happens every year. To clarify, just because search volume is low doesn’t mean you aren’t selling. It also doesn’t mean there’s something wrong or that you should start panicking. It simply means you’ve seen all of the people who will hurl checks at you. So we need to stop having this knee-jerk reaction and get ready for the inevitable shift that happens every year. To that natural rhythm, add a constrained building environment, increased costs (which means increased prices for buyers), lower inventory, and volatile interest rates and it exacerbates the market’s normal rhythm. I know that in certain markets, the news headlines and the sentiment of sales teams is causing some seasoned pros to have flashbacks to 2008. Enough of me playing analyst. The bottom line: It’s your job to make the most of any market. That doesn’t mean you should slow down along with the market. In fact, now’s the time to get to work. If you plan ahead, you can take advantage of these slow times by focusing on prospecting and strengthening the leads you do have. 1. Plan ahead: You don’t want to be playing catch-up when lead count is down and walk-in traffic slows. Plan ahead and put every prospect who came in when it was busy into the CRM. Log every single call. Rate them correctly, keep great notes, and follow up. If you don’t stay in touch during the busy months, prospects will ignore you in the slower months or won’t recognize you when they answer the phone, which is never a good thing. Follow the old military adage: Proper preparation prevents poor performance. Let me be clear, the No. 1 reason your prospecting is so difficult is the lack of attention to detail in your database. It doesn’t matter if being organized comes easily to you or not, it’s your job! Leads aren’t free. Walk-in traffic is valuable. Our mantra is that if it’s not in the CRM, it never happened. 2. Get busy prospecting: Prospecting is the hard work; searching through a bunch of dirt for actual mineral deposits is a grind. Start reaching out, making those calls, and sending those emails. Just a point of clarification: Email marketing is not considered follow-up. You need to send personalized follow-up messages that include emails, phone calls, video emails, and text messages. This is where you can thank your past self for being so organized. You don’t just log in and start reaching out alphabetically. Develop a plan to prospect for at least 2 hours every day. Every prospect who has not purchased or set an appointment should get one call and one email from you every month. And take note that no matter what market we find ourselves in, the average search period for a new home is three months for Millennials and six months for Boomers, so if you stop following up at 30 days, you’re missing out. 3. Set realistic expectations: It takes three times the amount of outreach to get the same result when you’re prospecting and working “aged leads.” Don’t operate under the assumption that you’re going to convert one in 10 people; it’s more like one in 30. This is the mental roadblock that stops many sales professionals in their tracks. They get a lot of voicemails or more “leave me alones,” so they give up. Set conversion goals that you can actually achieve. Make it a game, if you need to. For many, this is a new muscle that hasn’t been exercised in a while, so it will take some getting used to. One thing we know for certain, the market will pick up again. The buyer search cycle is cyclical, so there’s no need to stress out when it starts slowing down. Instead, prepare for the shift. It’s just like the in-laws during the holidays: We know they’re coming, whether we like it or not. We may as well be prepared and set the right expectations.